Why Is a Fresh Filter So Important? Some homeowners think that because the indoor air quality in their homes is not terrible means that their standard heating air filter is doing its job just fine. The problem with this, of course, is that the air filter in your home heating system is not there to improve air quality throughout your house! The purpose of this standard air filter is, in fact, to protect the heating system itself. This filter is not efficient enough to improve air quality throughout your home. This task requires a more efficient, designated air filtration system. Increased operating costs. If your filter is very dirty, then your heater is going to have to work harder than it otherwise should in order to heat your home. That drives up heating costs, leaving you with higher energy bills when the time comes to actually pay for the comfort that you deserve in your home. Reduced heating output. You know what’s worse than paying too much for heating your home? Paying too much for too little heating output in return. That’s what you risk when you run your system with a very dirty filter in place, though. Your system will struggle to distribute heat throughout your home effectively, leaving you in less comfort than you deserve. Added strain on the system. When your system works harder than it should have to in order to heat your home, it is going to accrue more wear and tear than it otherwise would. In fact, the added strain on the system may cause it to overheat and short-cycle, which drives up costs and adds even more wear and tear on your heater! 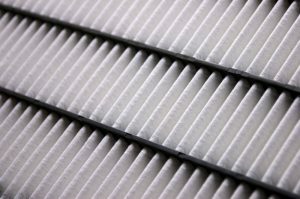 Keep your filter fresh, and contact Fort Collins Heating & Air Conditioning with any questions that you may have. Big enough to serve, small enough to care.